It’s been a funny week, don’t you think? Some things are on go-slow or even on retreat because of mercury in retrograde (it’s just taken me 25 minutes for my computer to load up after a windows update!) – but have you noticed? Other things, ideas, dreams and projects that have been incubating for weeks or even months, are suddenly pecking their little beaks against the shell of our consciousness. I’m not quite ready to expose my baby to the cold air of discussion yet – but this week I have started work on a very exciting writing project that has been nestled away, taking shape for the last few months. This morning the Bear is home, and I asked him to get the kids ready for school so that I can write until I have to go to work at 11. It is worth noting that all three of their faces went a little pale – but the Bear, although not a morning person, is a reasonable and fair man – and he quickly, if not enthusiastically, agreed. So, here I am – on an early Friday morning, with the mist lifting off the fields outside my office window, the soft melody of meditation music playing in the background and the chatter of birds, drunk on spring time nectar, providing a background to my work (play). Can it get any better, I ask you? I’ve just realised that it may appear that I don’t actually read anything longer than articles and blogs 🙂 It’s not true, I promise! At the moment I am reading two books (I love to have two books on the go at the one time – one fiction and one non-fiction). One is A Heart as Wide as the World – Stories on the path of Lovingkindness by Sharon Salzberg, and the other one is a collection of short stories, essays and memoir from the Griffith University Literary Review. Both of them are worth reading and have some wonderful pieces of insight and wisdom – but neither of them have sucked me in and swept me away from all the other reading and writing I do. Rest assured when that happens, I will tell you all about it :). People who write know this: it’s the secret behind the benefits of morning pages and journalling, and it’s why we writers are just so damn well-adjusted 🙂 Writing about what is happening in your life, the things that you are grateful for, the things that are worrying you or making you sad, angry or confused – is good for your mental health, and has had demonstrable, measurable effects, which we know scientists absolutely love. You don’t have to be a serious novelist or constantly reflecting on your life’s most traumatic moments to get these great benefits. Even blogging or journaling is enough to see results. One study found that blogging might trigger dopamine release, similar to the effect from running or listening to music. From long-term health improvements to short-term benefits like sleeping better, it’s official: Writers are doing something right. This month pushes the edge of everything, forcing expansion, new strategies for balance and a necessary letting go of what really does not work. It is an exciting, terrifying, exhilarating month with the challenge of extreme panic and fear as well as the opportunity to experience the ecstatic state of higher frequencies like never before. It is truly a circus that we are both witness to and performers in. 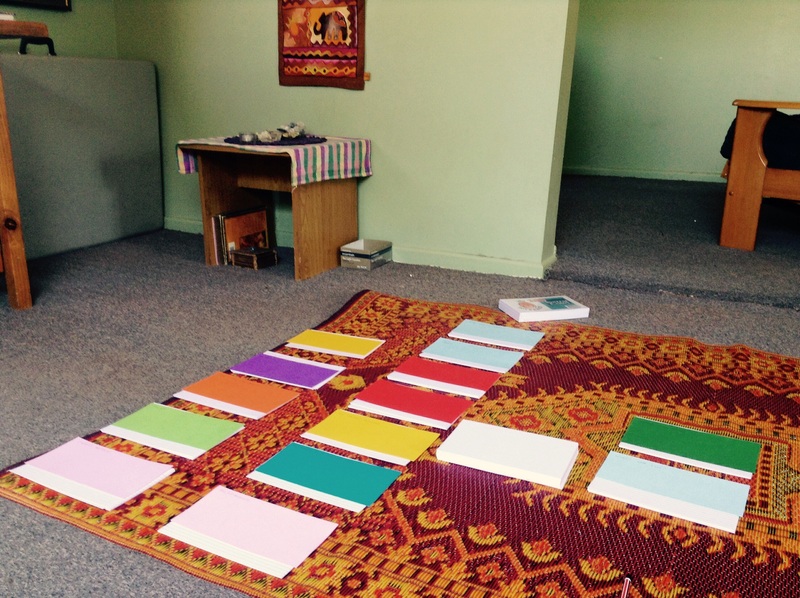 We have everything we need to support our lives and to midwife our transformation. We just need to trust our seemingly unstable environment, and pay attention to how we are navigating our lives every day. We need to be in our personal power, connected to the integrity of our hearts and striving for a new balance. We need to release our old stories and become more comfortable with the mystery of the unknown. We need to shift our platforms of security from exterior systems to interior ones. Have a beautiful weekend – and I’ll see you on the other side! Haha! 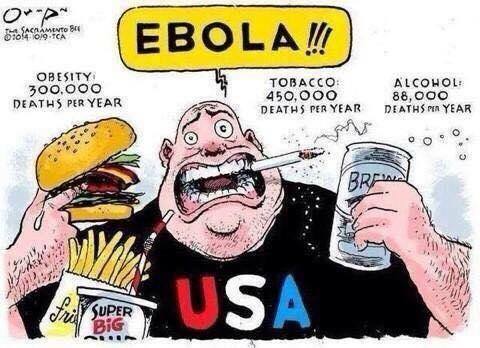 The Ebola man is hilarious, but sadly I think it’s true…the media is doing such a number on this. And so interesting about the timing of your new project…do you think it is related to these eclipses? Must’ve felt so great to have the time to work on it! Also, I love what YOU wrote about people who write…I completely agree–writing in the early mornings helps me sort through so much in my brain. It’s like therapy! It is totally therapy – it makes me smile when science proves something that we all knew anyway. I am a total nutcase if I don’t write 😜 And Ebola! It is crazy, huh? I do think it’s got something to do with the Mercury retrograde – I’ve noticed it before. Yes, you can’t get anything new started, and it might take half an hour for your computer to boot up – but for projects that already exist in some form, it’s gold! Thank you Lillian 💖 I actually never want to write about astrology because i think people won’t be interested – but i can’t help myself, it just comes out! And when i do, people appreciate it, like you do 😊 mercury retro is such a good time to plan new projects. hey Sara I have just started to write a blog and was wondering if its ok to quote the link to your blog on my blog? I just love that article about the benefits of writing and will share that too if ur ok with that. Dearest Simone, i would love you to share whatever i link to or write here! That’s what i love about social media – everyone sharing information and their experiences with each other 💖 Looking forward to reading your blog! The comic is truly something to think about! I cannot wait to hear what your new project is!! !